This is the first post of my new blog! I’ll be using this space to document the costuming and other projects I create, discussing any roadblocks with patterns and fittings I run into, and showing photos of the process and changes I make. I love costuming. It’s one of my primary creative outlets, and has been for about 15 years. Sometimes I’m less productive, sometimes more, but there’s usually always some costume idea floating around in my head that frequently ends up sketched out on notepad paper from my desk at work, but may not ever make it into the real world. I started out making bodices and skirts to wear to the local Renaissance Faire, and I’ve always had in mind a more upscale, more complicated outfit. Lately I’ve been trying to focus more on making dresses for everyday wear, which I’ll also document here. I’m also expanding my costuming focus to include Regency/Empire clothing, and the very first entries that will be posted to this blog will document my first Regency gown. Most of it will be retrospective, since I’ve been keeping a record off-line for several months on the progress of the gown, but I’m planning to do more “live” blogging as I wrap up this project and start on others. After the gown is complete, I’ll probably move on to an everyday dress pattern, and then get started on some Regency undergarments. If anyone out there decides to follow along and comment–great! Welcome! 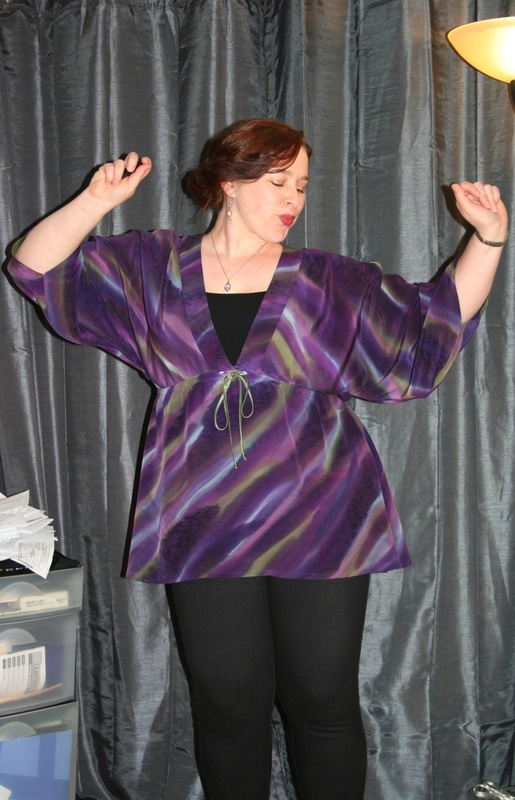 But mostly, this blog is to serve as an incentive for doing more sewing, creating more, and completing projects faster. See, I have a real problem. I’m a planner and a fabric/pattern collector–I LOVE the creative process of figuring out what garment I’m going to make, what stylistic changes I might make, what colors, fabrics, trims, etc. I’ll use. And then, even though I may really want to make what I’ve planned, and even though I may have purchased all the materials, somehow, it sits for ages and ages before I do any real work on it. I’m trying to change that, and so far I’ve managed to do pretty well with this Regency gown. I’m not involved in any costuming or re-enacting groups, because there never seems to be time, and there don’t seem to be any close enough to where I live to make it easy to be involved. Not that I wouldn’t like to get involved in a costuming group or a Jane Austen Society group, and I am thinking about joining one of the nearby JASNA chapters, but again, it comes down to time. And mostly I’d much rather spend my time actually making than meeting with others and talking about making. So.